Señor Paella prepare and cook your gluten free paella at your outdoor party, event or festival, right in front of your guests, using our own specially designed equipment. Established for over 10 years, we are the most experienced and professional paella caterers you will find. You can trust us. We don't need running water or any kind of fuel because we brings it all with us! And afterwards, we take it all away! That means no shopping, no preparation, no mess, and no clearing up for you! We can even provide cutlery, plates and serviettes and you can have your paella at the beach, the park, your veranda, anywhere. You choose! We want you to enjoy your function. 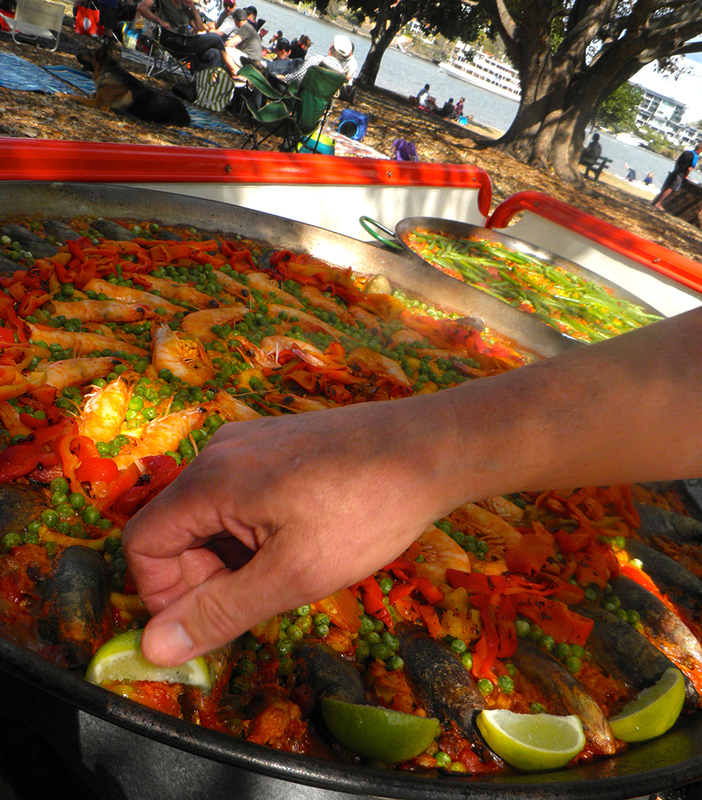 If you've ever been to a traditional Spanish market and seen the spectacle of a huge meat, seafood or vegetarian paella prepared, cooked and eaten in the open, you'll know what we mean when we say Señor Paella Catering will bring something unique, stylish and fun to any occasion!